I decided to rip out my Iced, and make a Veronika instead. 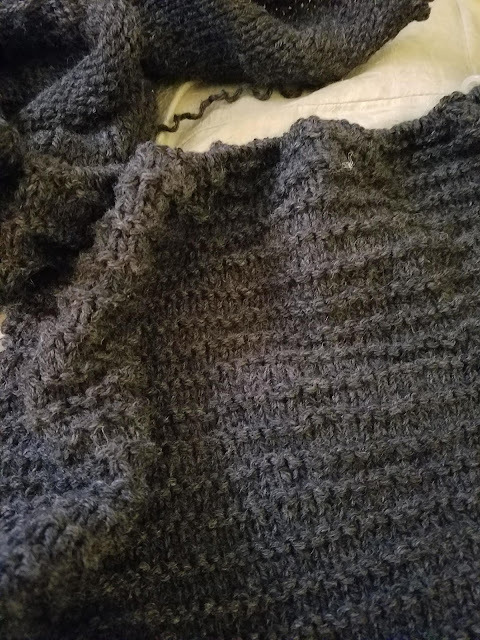 With the armhole looking odd, it was just going to take too much brain power to figure out what to do to fix it, and the time was more than I wanted to spend. So instead, I cast on Veronika from Very Shannon. After a little bit of a false start (I put the collar increases on the wrong row), it is going smoothly now. I have cast on the back stitches and am almost done with the collar increase section. My goal this week is to get half of the back done. 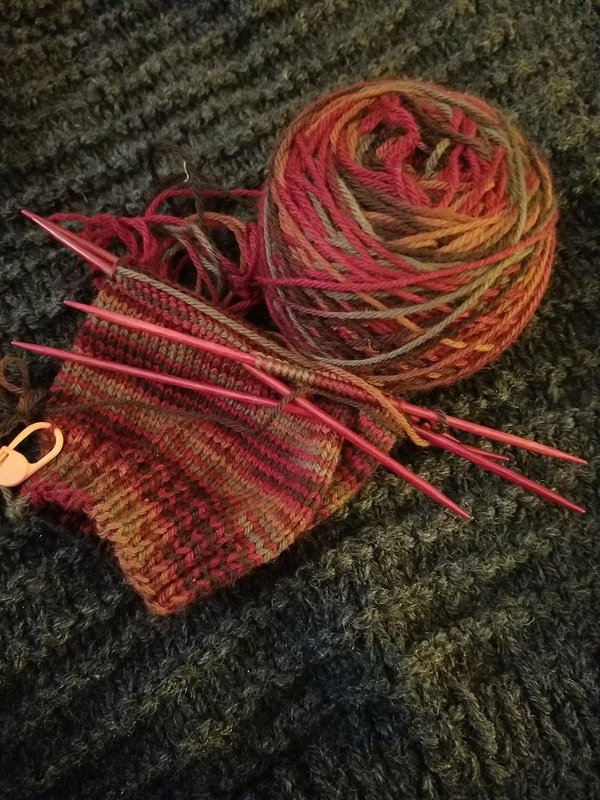 My other goal is to get to the heel turn on the second sock. I have done a good bit on the leg of the sock, but still have more to go. I am starting to feel sick. I don't want to be sick, and really can't afford to be, but I hope a night or two of extra rest will help.